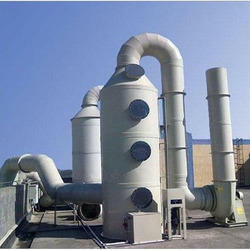 We Offers Adsorption Activated Carbon Tower. The Adsorption is a process where a solid is used for removing a soluble substance and Odor Fumes from the air which Cause air Pollution. In this process active carbon is the solid. 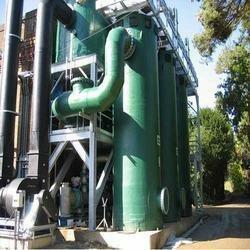 Activated Carbon is produced specifically so as to achieve a very big internal surface. This big internal surface makes active carbon ideal for adsorption. We offers Horizontal Activated Carbon Tower filtration is a commonly used technology based on the adsorption of contaminants onto the surface of a filter. This method is effective in removing certain organics (such as unwanted taste and odors, micro pollutants), chlorine, fluorine or radon from drinking water or wastewater. However, it is not effective for microbial contaminants, metals, nitrates and other inorganic contaminants. The adsorption efficiency depends on the nature of activated carbon used, the water composition, and operating parameters. There are many types of activated carbon filters that can be designed for household, comm. unity and industry requirements. Activated carbon filters are relatively easy to install but require energy and skilled labour and can have high costs due to regular replacement of the filter material. Owing to the expertise of our team of experienced professionals, we are able to introduce an exclusive range of Vertical Activated Carbon Tower. This tower is installed to offer contaminated airstream radically near the vessel bottom. The air then flows vertically upward through the activated carbon bed. Intimate contact occurs between the airstream and the carbon media. This results in the effective mass transfer of the contaminants from the gas stream and into the carbon. The clean gas exits vertically out of the top of the adsorbed while the contaminants are retained in the carbon bed. 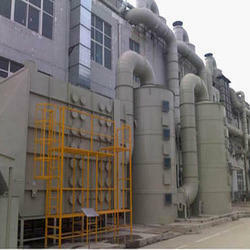 Since our commencement, our firm is engaged to introduce a premium quality array of Granular Activated Carbon Tower. 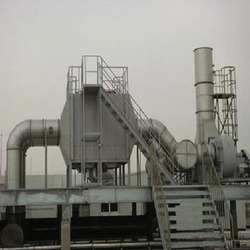 This tower finds wide application use in disposal of waste gas for coating, treatment of volatility organic gas, rubber, plastic, pesticide, chemical engineering, food, and deodorization. The offered tower removes the contaminants from the air and water through adsorption, in which negatively charged contaminant ions are attracted by the positively charged activated carbon. The organic compounds are removed by absorption, and residual disinfectants such as chlorine and chloramines are removed by catalytic reduction. 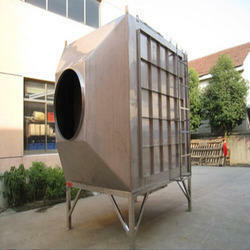 Looking for Activated Carbon Tower ?